MusicLoad is sad to report that soul great Charles Bradley passed away on September 23, 2017. 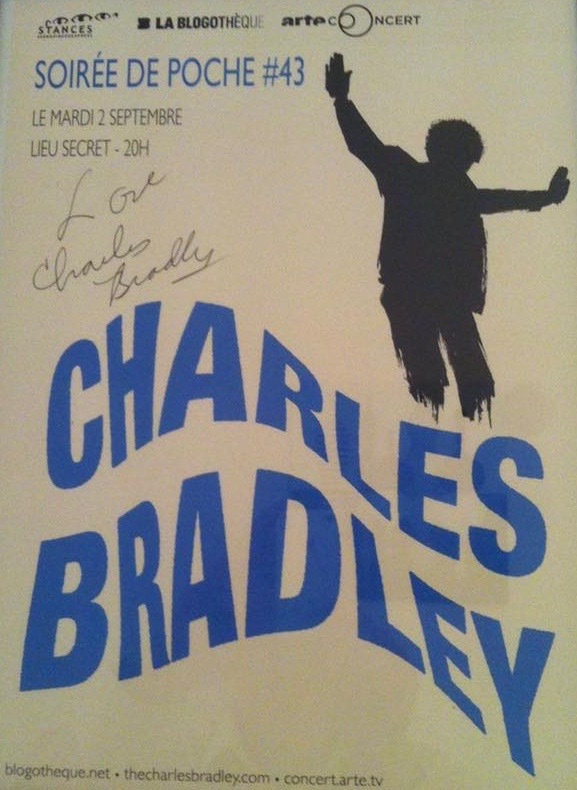 In tribute, MusicLoad is proud to present this very tasty handpicked performance of Charles Bradley and his stellar band, filmed live in Paris on September 2, 2014. The organ player, Michael Deller, got up and gave a grand introduction of Charles Bradley, calling him The Screaming Eagle of Soul. The entire band is fantastic and includes horn players William Aukstik on trumpet and Frederick Deboe on saxophone, Carlos Sanchez on drums and backing vocals, Vincent Chiarito on bass and two guitarists, Alexander Chakour and Paul Schalda who also provided backing vocals. The following event was beautifully filmed and recorded by a top notch French presenter of music films that this network has featured over the years known as La Blogothèque. La Blogothèque produced this 52 minute concert in association with Stances, Télé Mélody and Arte France. This post was created on September 25, 2017 by Greg Chamberlain with subsequent edits and updates by Mariana L. Villanueva for MusicLoad and The Indies Network.